When local residents feel the planning process for building wind turbines is fair and open, their perceptions of the often-controversial energy source remain steady or improve with time, according to a University of Michigan study. In fact, the openness with which the planning process is handled is more important in shaping residents' perceptions of wind energy than receiving a payment, researchers say. Likewise, if residents feel that their voices are ignored, their perceptions of wind turbines become less positive and, more importantly, erode over time. "This finding shows that residents want to be heard," said lead author Sarah Mills, senior project manager and researcher at the Center for Local, State, and Urban Policy at U-M's Ford School of Public Policy. "It has lessons not only for local government officials who hold public hearings to approve or deny the project, but also for wind energy companies that are developing these projects." For the study, a 2014 survey was sent to 1,000 residents across nine townships in Michigan with wind turbines to gauge their perceptions about impacts of wind energy. The same respondents were surveyed again in 2016 and asked the same questions to see how their perceptions had changed two years later. Mills and colleagues found that, on average, attitudes stayed roughly the same. Most residents agreed that wind turbines create jobs and provide revenue to landowners, while most disagreed—on both surveys—that wind turbines cause health problems or create noise pollution. "This averaging, though, masks the shifts in opinion that occur in both directions," said study co-author Doug Bessette, an assistant professor in the Department of Community Sustainability at Michigan State University. To test it, the researchers broke the data down to see if the payment to the residents had an impact on their perceptions. Similarly, they checked to see if the perceptions of the residents were impacted by how residents felt about the process—whether it was just or unjust. It was here that they found the biggest difference. According to the study, landowners who felt negatively about the wind-farm planning process perceived far greater negative impacts in 2016 than they did in 2014. This group reported the most dramatic increases in negative perceptions across the study, and across all turbine impacts, including visual and noise problems, reduction of nearby property values, and human health problems. "This shows that rather than getting used to living with turbines, those residents became increasingly embittered to wind turbines over time," Bessette said. "It also shows the importance of acknowledging and incorporating community members in the planning process." These results diverge from the U-shaped curve reported in previous research that shows that many of the fears resident have before turbines are built fade over time as they accept the turbines. Mills says this is the first time researchers in the U.S. have compared residents' perceptions of wind turbine impacts at two points post-construction. The study, she says, has policy implications for local governments. 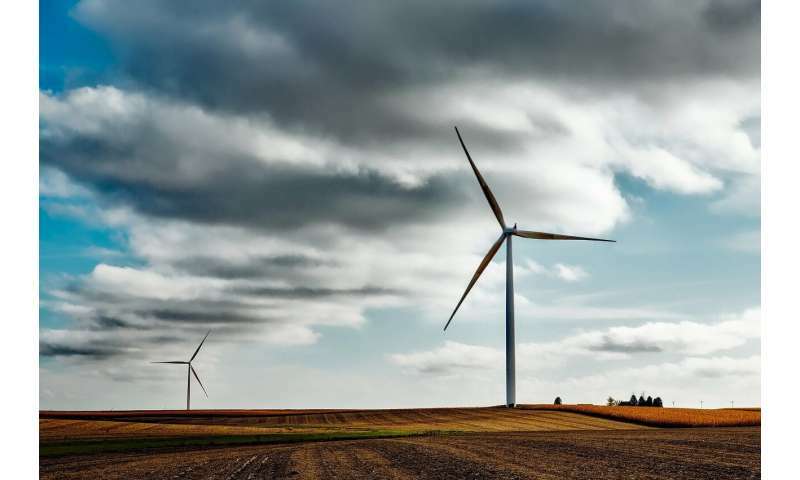 "Actions taken during a wind-project planning process by local governments, planning consultants and wind developers have impacts that extend well beyond the final project approval meeting," Mills said. "It may even impact any subsequent wind energy projects in the community." The study is published in the journal Land Use Policy. Are public objections to wind farms overblown? Does living near wind turbines negatively impact human health? 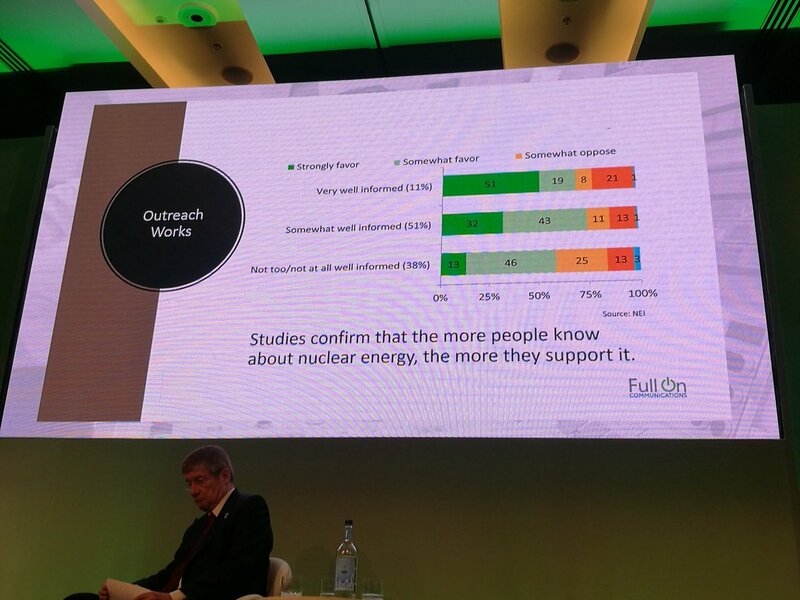 "The more you know about renewables, the less you like them. The more you know about nuclear, the more you like it. The only thing holding us back is ignorance, superstition and fear of the unknown." "The less you know about math, the more you tend to like "renewables." "
"That's the truth! and the more you know about math, the more you tend to like nuclear."